In July 1871 seven seamen from the Balaklava, bound for Canada with a cargo of cement from Gravesend, were brought before the Deal magistrates. They were charged with having “wilfully and negligently” refused their duty while the ship lay at anchor in the Downs. The vessel was only five years old and had just been corked and repaired in a London dry-dock. But John Bass, speaking for the seamen, claimed the Balaklava was poorly rigged, made an alarming amount of water and was altogether unseaworthy. Having heard from the ship's master and carpenter the magistrates declared the complaint “very frivolous”, and sentenced the men to a month's hard labour in Sandwich gaol. The Balaklava was taken on to Portsmouth for further inspection. It finally set out to cross the Atlantic in September. Three days out of Plymouth it sprang a serious leak and sank. 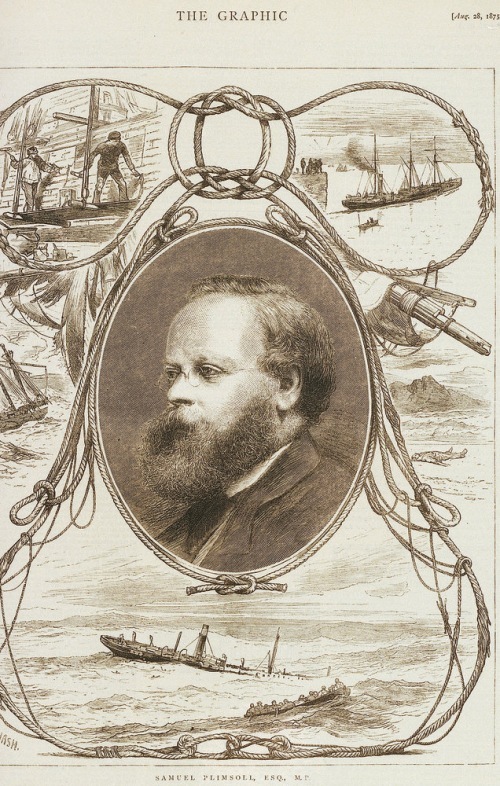 The case of the Balaklava became a cause célèbre, particularly when taken up by Samuel Plimsoll, the passionate campaigner for maritime safety. The local MP, Edward Knatchbull-Hugessen, later felt obliged to write to The Times to deny Plimsoll's claim that the magistrates had been willing in effect to send men to their deaths. The Balaklava, Knatchbull-Hugessen asserted, had shipped relatively little water when in the Downs. Moreover the men had refused extra pay to take the ship on to Portsmouth for inspection, a passage safely accomplished with a scratch crew. This probably included several Deal boatmen - “runners” in the parlance of the day. The seven men sent to Sandwich gaol were then called “refractory seamen”- that is, seamen who refused their duty under the 1854 Merchant Shipping Act. They were usually at the start of a long outbound voyage, having been paid a month's wages before leaving port. But discontent could lead to a formal complaint to the master and to a strike or go-slow on reaching the Downs. If the issue could not be resolved on board the men were taken ashore to appear before the magistrates. Their complaint was usually that the ship was undermanned or unseaworthy – as indeed was all too often the case among the huge number of Victorian merchant vessels. For some men a spell in prison was a price worth paying for returning to dry land: “thank you”, said the spokesman for 14 refractory seamen from the Anglesea after being given one month's hard labour in 1874, “our lives are safe there and they are not in the ship”. Or the complaints might be about living conditions. But it took a lot to soften the magistrates' hearts. When men from the Illovo, bound for Natal, complained of soaking bedding and uneatable food the magistrates had no sympathy: “it was well known that [there had been] very boisterous weather, and at such times as these sailors must expect a little discomfort ”. 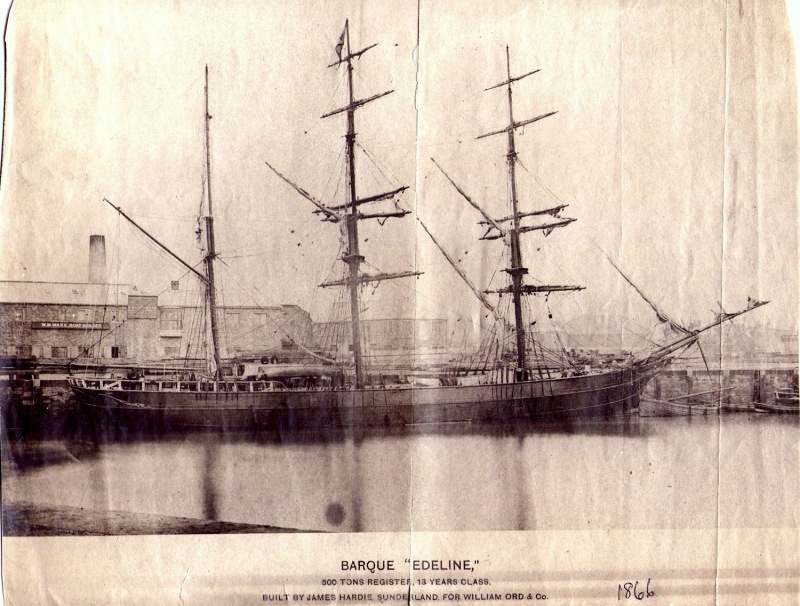 It was equally clear to the magistrates that the crew of the Edeline, refusing to sail in what the Board of Trade surveyor said was one of the finest vessels ever built, were simply “not possessed of the pluck and courage that distinguished old British Seamen”. Then there was the sensitive seaman from the brig Spring who complained in 1875 that the forecastle smelt horribly of what he felt sure were the inaccessible corpses of poisoned rats. The Board of Trade surveyor ruled that the smell was caused by bilge water and added, discouragingly, that the smell “would in all probability remain there the entire voyage”. Some complaints were more bizarre. Later in 1875 Edward Blown, a Deal man, complained that a tooth had been nailed to the forecastle door of the steamship Ardenconnel beneath a sign reading “This is the boatswain's tooth”. 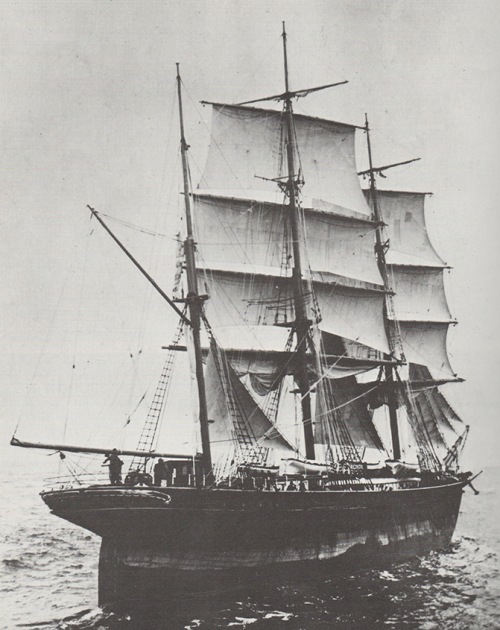 John Currey backed him up, but having previously refused to proceed to sea after a vision that the ship was “crooked” received five weeks hard labour. Currey had also complained that, of all things, “there were too many Dutchmen on board”. Some ships were certainly multi-cultural. 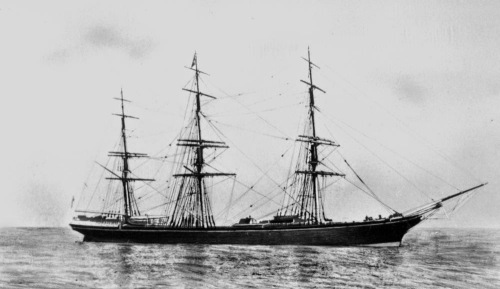 Among the crew of the Angelsea were Norwegians, Swedes, Prussians, Russians and Finns, some of whom utterly failed to persuade the magistrates of the unreasonableness of having to work on the Sabbath. In fact it was extremely rare for the magistrates to find in favour of striking seaman. Testimony from the ship's master was usually believed, and complaints about what would today seem intolerable or criminally dangerous working conditions were dismissed as trivial or mischievous. But as E C Pain commented dryly in 1929 “what seemed to impress the good people of Deal in those days was not the injustice done to the men imprisoned under such circumstances, so much as the hardship imposed on long-suffering ratepayers in being called upon to maintain them”. 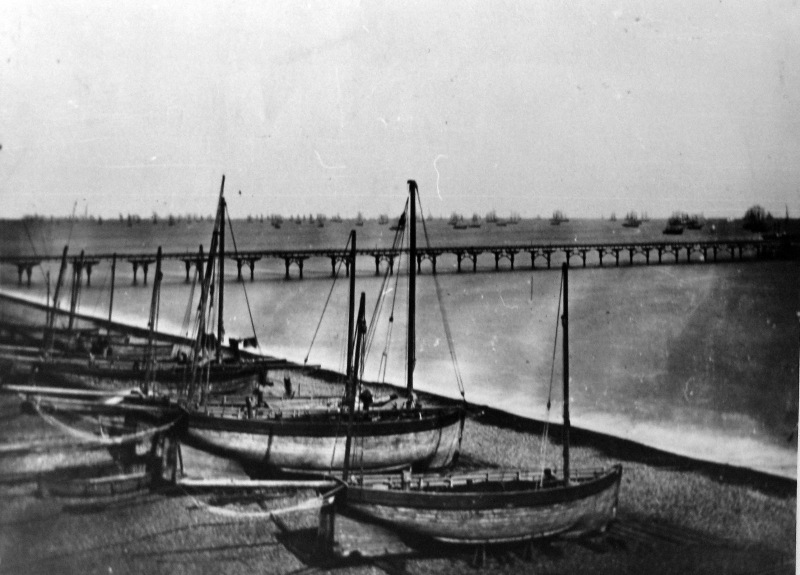 If a dispute occurred in a ship lying off Walmer the cost of any prison sentence would be charged to Cinque Ports funds, and if south of Walmer Castle the county would pick up the tab. But most ships in the Downs lay off Deal, which meant that cases were heard by the borough magistrates and the council had to foot the bill. By the 1870s numbers had got out of hand. In February 1875 the Town Clerk, writing to the Board of Trade, reported that 111 seamen had been sent to prison in 1874 by the Deal and Cinque Ports magistrates. This was three times as many as all other offenders, and cost ratepayers between £300 and £400. The Deal Telegram, happy to fan the flames, pointed out that the cost of incarcerating a seaman in Sandwich goal - 10s 6d a week – was twice that of maintaining a law-abiding but destitute citizen in the Eastry Workhouse. It claimed, rather implausibly, that “men actually get fat on gaol treatment; they look upon it as an agreeable relaxation from their ordinary business”. On the other hand, in the rare cases when the magistrates found in favour of the refuseniks, the upshot might be a complaint by the shipowner to the Secretary of State that maintaining discipline had been sacrificed to penny-pinching. Surely, argued the town, central government should foot the prison bill. After all, none of this was Deal's fault. And the town derived little or no benefit from the presence of these ships in the Downs. Most were engaged in long-distance trade and had been fully provisioned before leaving port. Relief finally came in an unexpected way. In 1878 the Government took responsibility for all prisons and closed Sandwich gaol. The cost of maintaining prisoners sentenced by local magistrates, for whatever reason, would no longer fall on the town. For seamen a major turning point was the passing of the 1876 Merchant Shipping Act. This gave the Board of Trade much stronger powers of inspection and introduced what quickly became known as the “Plimsoll line” to show safe loading limits. Although initially left to individual shipowners to decide where the line should be - one is said to have painted it on the funnels of his ships - the positioning was fixed by law in the 1890s. Today's international load lines are more complicated but still make an important and visible contribution to maritime safety. The fate of the men who sailed in the Balaklava back in 1871 was much less grim than it might have been. Plimsoll had claimed that the ship had sunk in September with all hands. In fact all 16 members of the replacement crew had been rescued by a Spanish ship. The seven refractory seaman sent off to Sandwich gaol in July, who according to E C Pain were released early by order of the Board of Trade, would nonetheless have felt thoroughly vindicated. All information supplied by the author. A TEA CLIPPER Lothair another frequent visitor to the Downs. The cook of the Ambassador spent several weeks in Dover gaol having complained that the galley fire would not burn properly. A tribute to Samuel Plimsoll MP in The Graphic magazine (1875). He died in Folkestone in 1898.